LCD Soundsystem in Montreal or Quebec City? Inform me about the next events for LCD Soundsystem. Enroll yourself to our priority waiting list for LCD Soundsystem to be alerted when new tickets are available. Filling this form doesn't engage you to any purchase. LCD Soundsystem will be back on December 2nd, 2017 ! James Murphy and his bandmates will be performing at the Place Bell of Laval. 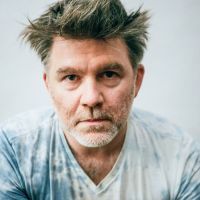 After a 5-year hiatus, James Murphy and his bandmates reunited in 2016, and got back on the road, but Montreal was still waiting for a concert here. LCD Soundsystem will finally be releasing a new album entitled The American Dream on September 1st, 2017. Don't miss their concert in Laval !